Heading into their third year, the Emerging Leaders Board is busier than ever! Made up of 21 young professionals who are committed to supporting BHCHP’s mission, the board participates in a variety of volunteer opportunities and fundraising activities. For the holidays, board members and other young professionals, known as Ambassadors, gathered winter weather gear and wrapped the presents for patients at the Barbara McInnis House, to help make the holidays cheery and bright for our patients, many of whom spend the holidays alone. Board Members hosted the fourth event in their successful Speaker Series. The events combine networking with a talk from a local luminary who is dedicated to some combination of business, government, health care, and philanthropy. This talk featured BHCHP alum and commissioner of the Massachusetts Department of Public Health Dr. Monica Bharel. Formerly the Chief Medical Officer of BHCHP, Commissioner Bharel’s talk drew an engaged audience of over 50 young professionals, who gathered to hear the commissioner speak about her work and how her time at BHCHP informs the decisions she makes at the state level every day. As the weather has warmed, the board has stayed busy with volunteering and raising awareness of our work. Emerging Leaders volunteered and walked in the inspiring Winter Walk. 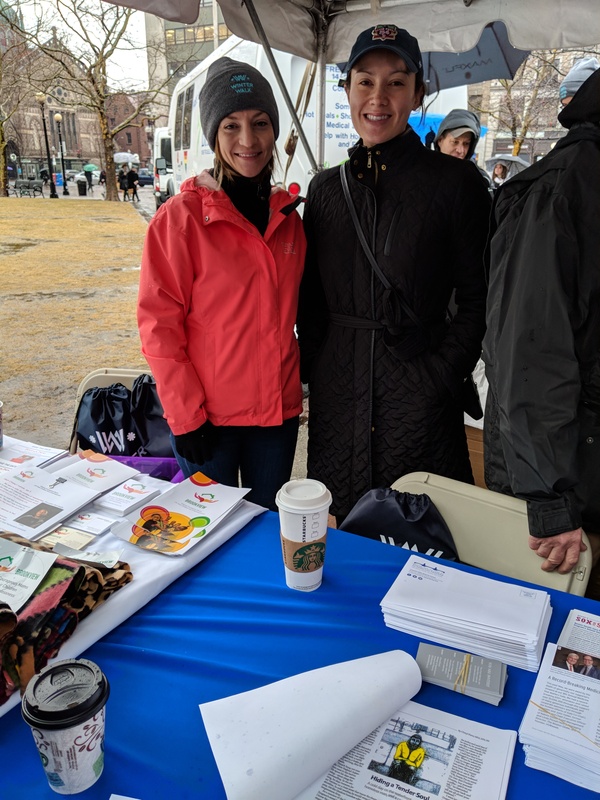 In addition to enjoying the walk, board members tabled for BHCHP, sharing information about our valuable work with Winter Walk attendees. The board also hosted a successful networking happy hour for young professionals interested in learning more about BHCHP and how to get involved in our work. Finally, the Board hosted a karaoke night at the Barbara McInnis House, to engage with patients and stay connected to our work. Over 20 volunteers participated in a lively night of Karaoke. Looking ahead, the board is already hard at work planning their Fall Soiree, a celebratory night of philanthropy and fun that benefits BHCHP. Their board’s largest event of the year, the 2018 Soiree is shaping up to be better than ever! Soiree details will be coming soon!